Uploading workout data from your Suunto watch just got a lot easier. 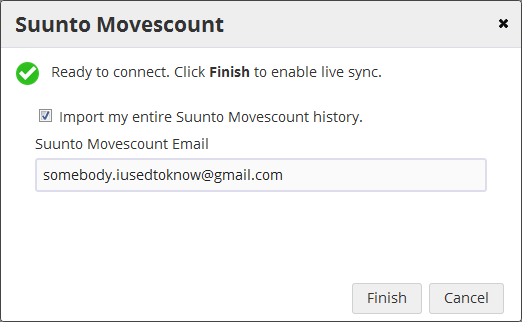 Today we introduce direct sync to Suunto Movescount. Once you've set up the sync connection there is nothing else you need to do. Workouts from your Ambit, Quest or M-Series will be automatically uploaded to SportTracks.mobi without any manual steps. It's that easy. 3. 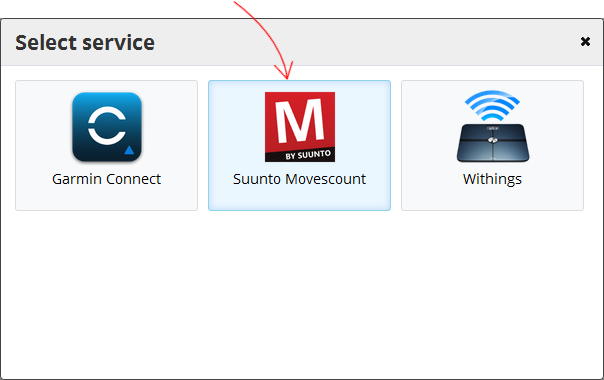 Select the Suunto Movescount option. 4. Select if you want to import your entire history and enter your Movescount email (if it's not the same as your SportTracks email). Click Finish. 5. One final step. Suunto requires you to accept the application at movescount.com. Once authorized, all you need to do is plug your watch in as you would normally do to import to Movescount via the Moveslink application. SportTracks will check Suunto Movescount every 10 minutes for new workouts that you've uploaded from your watch and integrate them into your history. If you encounter a sync problem you can still manually import your suunto workouts from your PC. Click "Browse" and navigate to the folder where Moveslink saved your workouts. The new sync feature improvement is another step we're taking to streamline your fitness data tracking - so you can get out there and enjoy your sport. How does this watch stack up in the pool? Does this only work for Paid accounts? I don't have the "Connect" button in the "Sharing" section of the account settings. Yeah, you'll need an active subscription (either paid or trial) to sync to online services as otherwise your account is "read only". I've re-energized your trial period again so you have a chance to check out the sync. Oh, was not aware of this. Thanks, much appreciated :-). I feared that moving from Garmin to Suunto would mean issues to communicate out of movescount,, but no, it works like a charm ! I'd completely forgot about that. Makes a massive improvement to my experience now. Could you please add a "force pull data from Movescount" feature? I know I probably have some kind of OCD, but I really don't like having to wait up to 10 minutes to be able to file the workout correctly in my training log. Does it sync the other way around? I have a lot of activities in sporttracks that would be cool to have exported to Movescount.